Apple Working in the Lab With a 7.85-Inch iPad Mini? 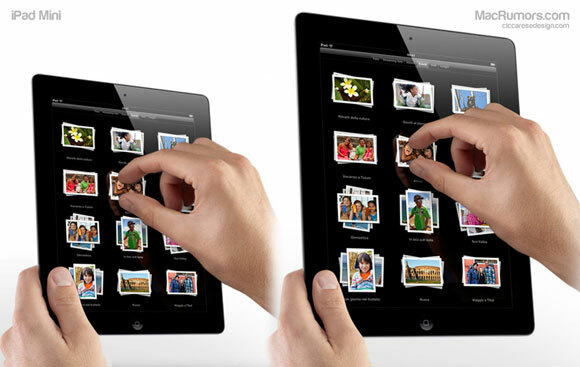 Rumors have been floating round of an iPad Mini since late last year, with analysts and strategists suggesting that Apple may introduce a smaller iPad to compete with growing competition from tablets such as the Kindle Fire and Nook. Apple-blog speculation naturally went in to overdrive with many believing that the “iPad Mini” would launch alongside the iPad 3. Even mock-ups of the diminutive iPad surfaced, but launch day inevitably held no surprises. Well, I don’t know. What I do know is that they have one in the lab…a 7.85 inch iPad that runs at 1024×768… it’s just like the 9.7″ iPad shrunk down a little bit. Apps wouldn’t need to be recompiled or redesigned to work optimally on it. It’s just the iPad smaller. Gruber is well known for his contacts within Apple and has provided accurate information about upcoming products in the past, however Apple is equally well known for designing many products that never make it to market.